Offset's sandwich needed some crisp to it. We all have our quirks. When you live with somebody, you end up learning everything about them. 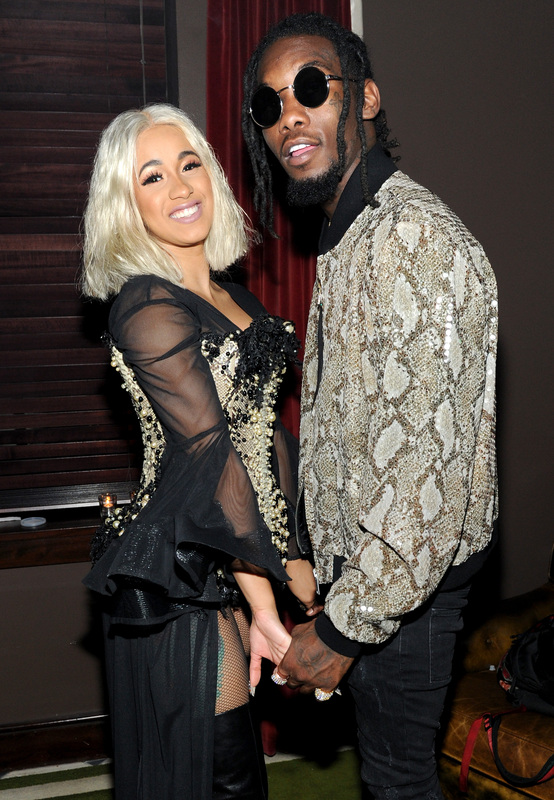 Offset and Cardi B have been married for approximately one year after they secretly tied the knot in 2017 and since then, they've achieved enormous levels of success. They welcomed their baby Kulture into the world after Cardi released her debut album. Now, we wait for Offset's solo project to arrive next month. All of your favorites were celebrating Thanksgiving last night, chowing down on turkey and stuffing but Offset took a page out of 50 Cent's book. Fiddy posted a video of himself preparing a turkey sandwich as his holiday meal and Offset was inspired. He made his own concoction with lunch meat and white bread, adding in a little something extra for spice. Cardi clowned her husband as she took a video of him preparing his meal, taking off the first layer of bread and revealing a few Flaming Hot Cheetos on top of the turkey. Mustard, turkey and hot Cheetos doesn't necessarily sound like the greatest combination but you can't knock it until you've tried it. Chips and sandwiches do go really well together. Hopefully, Set didn't end up in the hospital like Lil Xan did after enjoying himself some Flaming Hots. We're praying for his stomach lining after all that drama.